Bright colors, clear long lasting signs. You name it we can do it. 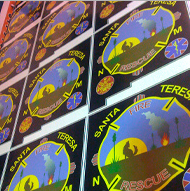 Custom die-cutting can be the difference between just a plain sticker and a real head turner. Custom Die-Cut Stickers and Decals are printed in hi resolution for those brilliant, accurate colors that will get the attention you’re looking for. Note: Stickers are contour cut, yet come in a sheet roll to keep your pricing cost low.